n[capc ltr=”I”] addition to managing websites and blogs under the 3 Beat Media brand, owner Jennifer Mattern can also assist you with your own Web publishing needs. As a professional blogger and business writer, she offers blog writing and management services, Web copywriting, e-book writing and more. 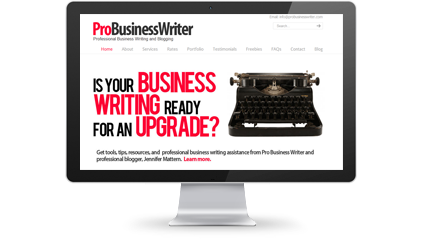 All client services are offered directly through ProBusinessWriter.com. Check out our Web properties covering freelance writing, social media, small business, publishing, and more. Learn more about books and e-books released through 3 Beat Media’s publishing division, 3 Beat Books. Get the latest company news about our Web properties, product launches, book releases, and more. Have questions or comments? Get in touch today. You can also follow us on Twitter @3BeatMedia.